Olympus today provided some details of its new medium-term (through 2017) management plan. It expands on the "Back to Basics" vision crudely outlined in April by the new management team, and adds "One Olympus" and "Profitable Growth" as the key policies being followed. 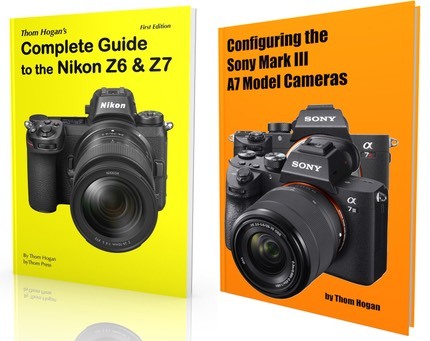 Specifically within the imaging business, the news is interesting: "…focus on mirrorless interchangeable-lens cameras and high-end compact cameras while improving profitability." Further, they "strive" to reach profitability in the division in the current fiscal year (ends March 2013). What Olympus appears to be counting on is that they can sell fewer high-priced cameras more profitably. That raises questions in markets like the US, where local dealer sales are driven by coop advertising (those Canon, Nikon, Olympus, and Sony multi-page flyers in your newspapers that promote all the current "instant rebates"). The companies use these devices (amongst others) to drive volume, especially in the lower-priced camera categories. The companies push commitment to volume of all products in the flyers, it's not a pick-and-choose game. By reducing model lineup (Olympus says they'll drop 50% of the low-end compact volume in four years) it gets trickier and more costly to do such promotions. As it is, the US dealer base isn't happy with OlympusUSA right now as it is. The sudden reduction in low-end cameras means some dealers will almost immediately consider dropping Olympus as a full line. So Olympus is headed for nichedom. That's actually something I suggested was the right move eight years ago. The problem is that they're trying to establish a niche in a declining market (niches are best controlled by establishing them in an expanding market). Fortunately, they've got one hot camera right now (EM-5) that they can't keep in stock (and haven't shipped extra batteries for, what's with that?). The TG-1 waterproof compact is another potential strong seller. The XZ-1 is due for replacement soon, and it too fits into the new, more tightly focused (pardon the pun) imaging division. Frankly, I see much more realism in the new Olympus plan than the old one (which forecast more than 2x the revenue in imaging than they'll achieve this year). It's an achievable plan but not without risk, as Canon, Nikon, and Sony won't cede the markets Olympus plans to concentrate on. Certainly, Sony's RX-100 announcement puts high pressure on the XZ-1 replacement. Olympus' basic plan for holding onto their proposed niche amounts to this: develop advanced technologies in high-end models that filter down to the lower ones, creating unique high value-added compact cameras. That first clause perfectly describes the Nikon camera engineering agenda for the last 25 years, so it's not unique. That said, Nikon hasn't really done the second clause, so there's room to succeed here, but barely. Olympus fans should react to the news positively (well, maybe not 4/3 users, who didn't get a lot of love in the presentation). The narrower and tighter focus has been a long-time coming, and overdue. But at least it's come. That's more than I can say for some of the camera companies. Olympus' plans seem realistic and do-able. I've added Olympus' projections to my Claims to Remember page.